In partnership with Living Classrooms' Workforce Development Team, Power52 Energy Institute Baltimore City provides the first Clean Energy Private Career School specializing in Solar PV installation to be approved by the Maryland Higher Education Commission. Power52 Energy Institute Baltimore City enrolls unemployed and at-risk adults in an accredited eleven-week comprehensive training program and wraparound services to ensure that the trainees are successful. Through paid on-the-job training both in the field and in the classroom at UA House at Fayette operated by Living Classrooms, the program provides OSHA-10 Safety Certification, PV Associate Installer Certification, and job placement assistance upon completion. Much like the power itself, the future and opportunities of those it benefits should be sustainable too. In December of 2017, Power52 Energy Solutions employees and graduates of the inaugural class were contracted to install solar panels on Living Classrooms' three community centers in East Baltimore, turning them into the nation's first urban community-based resiliency hubs through a partnership with the Baltimore City Office of Sustainability. Patterson Park House and POWER House community center located in Perkins Homes, the largest public housing community in Baltimore, are now equipped to offer disaster relief to their neighboring communities in the event of major emergencies or natural disasters. The addition of small solar panels with battery storage will allow Living Classrooms' resiliency hubs to provide a few days of support to neighbors to charge cell phones, store medicines and provide residents resources such as fresh water, food, radios, snow shovels etc. In spring 2018, UA House at Fayette operated by Living Classrooms will be the third center to be equipped with solar panels, providing the same services to residents of Pleasant View Gardens and surrounding neighborhoods. These systems will also be installed by graduates of the Energy Professional Training Program. 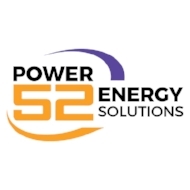 In November of 2017, Power52 Foundation hosted Operation Sleigh Bells Energy Networking Event/Toy Drive to establish strategic industry relationships with the hopes of creating further employment opportunities for participants of the program. On January 18, 2018 Power52 Energy Institute Baltimore City hosted “speed” interview sessions and headshots for the trainees. Many of the companies at the “speed” interview session were strategic relationships formed at Operation Sleigh Bells: Energy Networking Event/Toy Drive. Three trainees were offered an employment opportunity on the spot. Beginning in February 2018 the recent Power52 graduates will have an opportunity to work with leading solar development companies for paid on-the-job training. The long-term community development strategy of the partnership between Living Classrooms Foundation and Power52 Foundation is designed to break the cycle of poverty, unemployment, under employment, and incarceration that exists within the Baltimore Target Investment Zone (a comprehensive Living Classrooms' initiative focused on a targeted area of East Baltimore that suffers from extreme poverty, unemployment, high crime, low graduation rates, and chronic health problems), while simultaneously advancing communities resilience through a holistic sustainable strategy. Note to Media: Media are invited to attend the ceremony for photo, video, and interview opportunities. Please contact Michelle Subbiondo or Brandy Jackson in advance if you plan to attend.